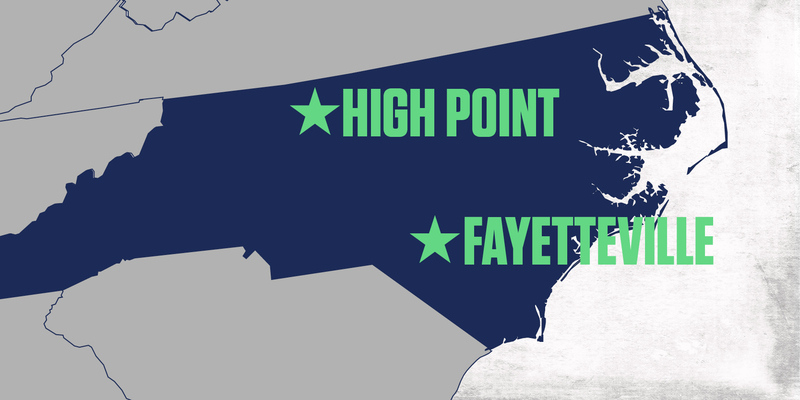 Steven Short, Vice President of the United Soccer League's Division III, visited High Point and Fayetteville, North Carolina, from July 31-Aug. 1 as interest in the new third-division league continues to draw intrigue from multiple Southeast and Midwest markets. Since the USL announced the creation of a new third-division league, set to begin play in 2019, the USL DIII expansion team has visited 13 different markets, traveled more than 8,500 miles and held more than 85 hours of on-site meetings. "High Point and its progressive leadership are working to transform the city into a bustling corridor of business. The league is excited to work with the city on what would could be a prototype stadium built for soccer, baseball and additional sports. By maximizing the venue, the City of High Point is able to ensure maximum facility utilization of a cornerstone element. "The City is poised for growth, and the opportunity for the USL Division III team to serve as a catalyst for growth provides a special position. High Point is comprised of a young, educated workforce with a global background. Having met with local leadership, the vision for High Point is one of progress and growth." "Fayetteville is a sports town. The youth soccer landscape is strong as the game continues to drive participation in local youth clubs and adult leagues within the region, as well as sports venue development. Additionally, the city is well-known for the first professional appearance of baseball legend Babe Ruth. The city is the current home to the Fayetteville SwampDogs of the Coastal Plain League and future home to the Houston Astros Class 'A' affiliate which is currently located in Buies Creek. The stadium for the Astros affiliate is scheduled for completion by March 2019. "Located on the Cape Fear River as part of the Coastal Plain region of North Carolina, Fayetteville is the sixth largest city in North Carolina. The city features a global influence in part due to its proximity to Fort Bragg."